Buy Your Tickets to Capt. 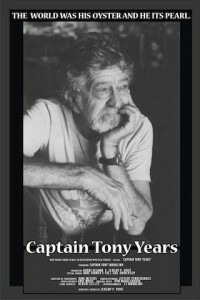 Tony Year’s Today! The last showing was sold out in a couple of hours. Don’t miss this great movie where Capt. Tony shares his views on life. A beautiful documentary on the life of a legend.